Banerjee also said that for the sake of the country Modi should not only be ousted from his chair (PM post) but also ousted from politics. 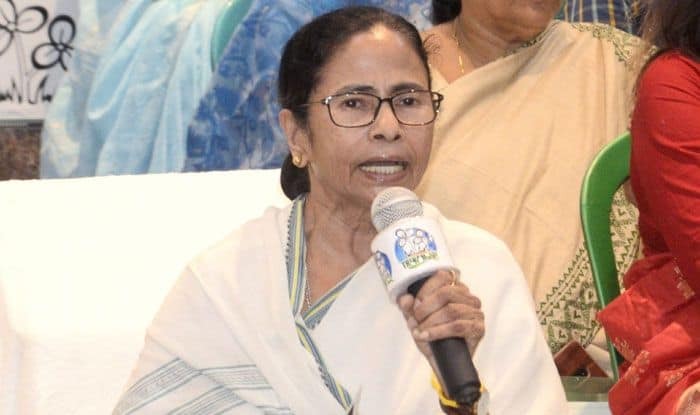 West Bengal Chief Minister Mamata Banerjee on Monday attacked Prime Minister Narendra Modi saying he needs to be thrown out of both the chair and politics for the betterment of the country. Modi did not have time to look after the farmers and the middle-class, as he was busy touring the globe for 4.5 years of his five-year term, Banerjee told a rally in Nagrakata. When elections are knocking at the door, Modi is threatening everybody and blabbering lies, Banerjee alleged claiming that he would get the first prize if there was a competition of telling lies. “In this election, people would stick a leucoplast on his lips so that he is not able to tell lies. For the sake of the country he should not only be ousted from his chair (PM post) but also ousted from politics,” she said. Hitting out at the prime minister’s comment on Sunday at Coochbehar district that Banerjee and the TMC of suffering from fear psychosis of Modi, Banerjee warned him not to threaten her as it will be the biggest mistake.